Healthcare Recruitment Agencies – Have You Considered Them? Healthcare recruitment agencies can fill the gaps that you can’t. No matter whether you’re working in the public or private sector of health, there always seem to be vacancies cropping up left, right and centre that need to be filled immediately. And that’s where agencies come in. Staffed by professional managers and skilled consultants, healthcare agencies are experts at sourcing the most talented workers to fit the role that you need perfectly. If you haven’t considered the strengths of working with a recruitment agency, then it’s time to start doing so. You won’t need to think about the weaknesses – after all, there aren’t any. Many people get confused when it comes to workplace jargon – so here’s a brief summary of what you can expect from health care agencies. Generally, recruitment agencies are a specialist intermediary between an organisation looking to employ someone and an individual who is looking for a job, and there are many different kinds out there. Healthcare recruitment agencies specifically focus on the healthcare sector and aim to help organisations to recruit the best possible candidates for particular roles in a timely and effective fashion. Ultimately, these agencies do the brunt of the work when it comes to sourcing talent and ensuring the candidates are vetted and suitably experienced for individual roles. It’s extremely common for companies to work with healthcare employment agencies as they often just do not have the time to undertake the lengthy recruitment process of staff themselves. Also, many employers do not possess the in-house recruitment skills that consultants and the healthcare recruiting agency tend to be equipped with. Therefore, both small and large businesses alike turn to agencies that can carry out the staffing job for them, so they can get back to what they do best – their own jobs. It takes the pressure off; and the results that recruitment agencies provide are second to none. Working with a healthcare hiring agency can provide you with a whole host of benefits. As noted earlier, one of the main benefits is in reducing the burden of the employment process. This can be a particular benefit to large organisations, where the volumes of vacancies and applicants are likely to be high. But it can be vital to smaller operations too, where the skills to carry out ongoing recruitment exercises are likely to be lacking and additionally will take staff’s focus away from their day-to-day roles. Time is precious, and even more so in the healthcare and nursing industry, so by letting healthcare employment agencies handle the recruitment process you’ll be able to put all your efforts into where it’s needed: frontline service delivery. Rest assured, a recruitment agency has rigorous standards in place to ensure you receive the best person for the role. Many professional agencies begin by choosing only those candidates who have the exact qualifications for the job. Then, interviews take place face-to-face with selected candidates. If they are successful in that stage, references from past employers are taken up to ensure the candidate has the skills and personal attributes necessary for the role. This rigorous process is employed by health care agencies to find the cream of the crop. There are plenty of generic recruitment agencies out there and it’s tempting to opt for the nearest or highest profile one on the high street. However, the healthcare and nursing sector in particular is an industry in which having the right nurse staffing is absolutely paramount. Workers must know exactly what they’re doing. They also need highly developed people skills, the right attitude and presentation. When it comes to someone’s health, there is no room for error. This is why candidates for any healthcare role must possess specific and demonstrable skill sets. It is therefore far better to eschew the services of a regular agency that works across multiple job sectors and opt instead for tailored, expert healthcare and nursing recruitment agencies. The best ones will have specialisms and employ state of the art search methods to enable them to identify the best individual for a particular role. Some will even provide training resources to clients to ensure that their staff’s skills and knowledge are up to date and relevant to the role in question. In an environment where selecting the wrong candidate for the role is not just a waste of time but a potentially life-threatening risk, it’s vital that nurse recruitment is carried out by specialists. If you have roles to fill within your organisation and are now convinced of the need to work with a legitimate and understanding agency for your healthcare company, where do you start? The internet is a good resource for recruiting your recruiter. First, undertake a simple and succinct Google search to find reputable and local healthcare recruitment agencies who you can work with. By typing in keywords such as ‘health professionals’, ‘nursing recruitment agencies’ and ‘medical staffing’, a whole host of solutions will become available to you to click on instantly. Again, though, you should never plump for the first option in the search results. It’s well worth doing a little research to make sure you are contracting with a recruiting partner with whom you can develop a fruitful and long term relationship. Make sure their website looks professional and offers the right kinds of guarantees about rigorous controls on recruitment and testimonials on past successes. Don’t stop there, though: check independent reviews of their services elsewhere on the internet. Phone and chat to the agency and see if you are offered knowledgeable, expert solutions to your recruiting issues. One such company that stands head and shoulders above other healthcare and nursing staffing agencies is KPI Care, a professional agency with the highest standards. We’re KPI Care, a company that delivers excellence to clients and candidates who are based in the aforementioned industries. We’re experts in numerous areas of medical recruitment, so no matter whether you need to find a qualified candidate for a temporary job or someone on a more permanent contract, we’re top when it comes to healthcare recruitment agencies. 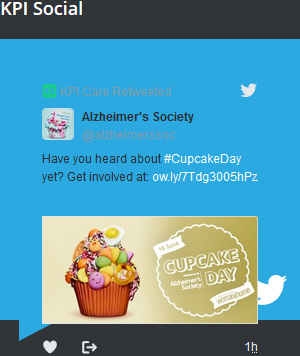 Simply visit our website at http://kpicare.co.uk/ and see what we have to offer. 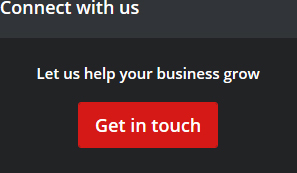 You can get in touch through the ‘contact’ tab to send us a message. We’ll get back to you as quickly as we can and help you fill that vacancy with the best person for the role.